Howl, howl, howl, howl! Why is this $70?? 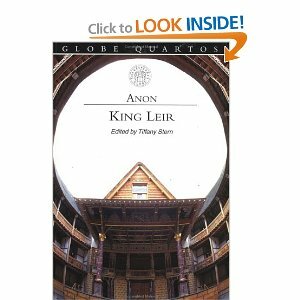 This semester I'm teaching the play that's generally understood as Shakespeare's source for King Lear: the anonymous comedy King Leir. Yup, you heard me right. It's a hilarious comedy. And this play is begging for a run on stage. 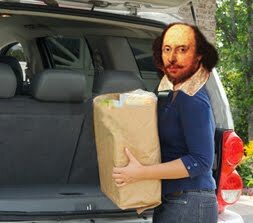 Hey, you Shakespeare theaters out there, are you listening? Here's another gripe. Why is the awesome Globe Edition of this seventy bucks? My students are reading the free online version sans Tiffany Stern's brilliant endnotes and introduction. Seriously, this play's got to get some respect asap. Howl!